MY FAVOURITE CHRISTMAS FOOD || BLOGMAS | RAWR BOWS. TURRÓN. This is a Spanish food. It’s made out of almonds, honey and sugar and it tastes like heaven. It’s something a tiny bit similar to marzipan but better. If you don’t like it I’m not sure we can be friends. MARZIPAN. To be fair, I love anything that tastes like almonds ot has almonds in it so obviously I like marzipan as well. I like the ones that are tinted and have cute shapes! CHURROS WITH CHOCOLATE. Oh my godness, if heaven exists then I think I’ve found it. 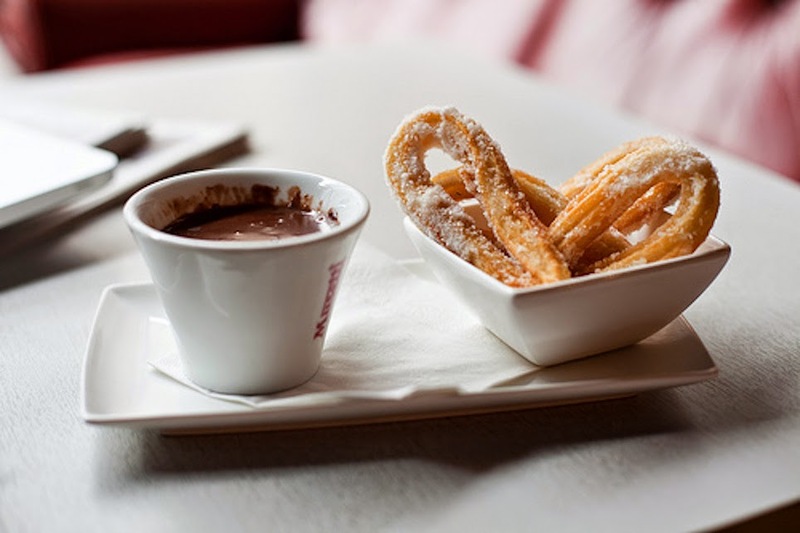 Churros themselves are amazing but when you dip them in hot thick chocolate, oh boy! It tastes like unicorns and rainbows! MASHED POTATOES. I used to eat mashed potatoes quite often when I lived at home but now I only get to eat them when I go back for the holidays and we normally have it on either Christmas’ Eve or Christmas Day. CHRISTMAS SOUP. I’m pretty sure this is a Spanish thing as well. It’s basically soup with weirdly shaped pasta that’s stuffed with meat. I don’t know, we’re weird. And these are my favourite foods to eat during the holidays! What are yours?